Inspired by the 40s, MAVALA’s Sublime autumn/winter nail colour collection ranges from dark and mysterious to dusky rose and soft beige. From left to right you’ve got Twilight Blue, Amethyst. 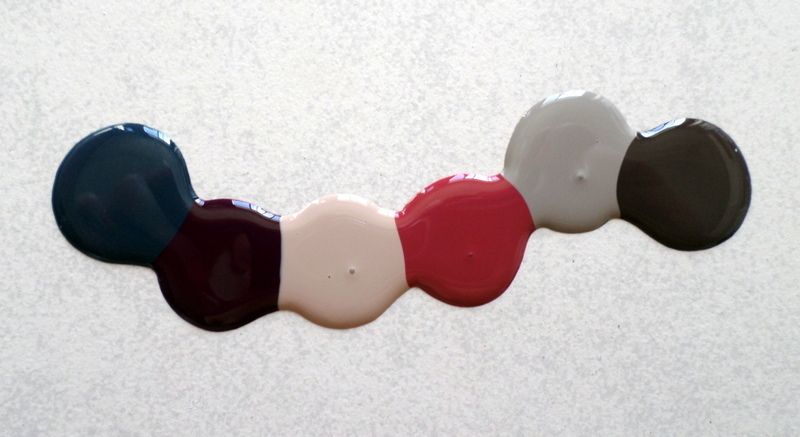 Ivory Beige, Poetic Rose, Warm Grey and Espresso. Want one yourself? They’re in selected Clicks and Dis-Chem as I type going for R59,99 a pop. Who wants to win a Lamelle Dermaheal travel pack valued at R500? So Ambri Designs gave me a tee. It’s super cute, right?